Mushrooms can be quite expensive at your local store, especially if you live a long way from the grower. They have some great health benefits and should play a regular part in your diet. What a lot of people don't know is that they're real easy to grow and can make a fabulous business for you even on a small scale. But the mushroom business is also one that you can keep building up as you reap the profits. They grow fairly fast so it's not like watching paint dry and it's an activity that with experience you can grow better and better mushrooms. Mushrooms are grown from spores not seeds. As mushrooms mature than can literally drop billions of these microscopic spores. Strangely they belong to the world of vegetables even though they're not a plant but a Fungi. Because they're a Fungus this can be fairly off putting for many, but, you can do so much with them starting with a breakfast of fried mushrooms, onions and bacon. Mushrooms have a stem (stipe), a cap (pileus) and gills on the underside (lamellae). The cap can take many forms. 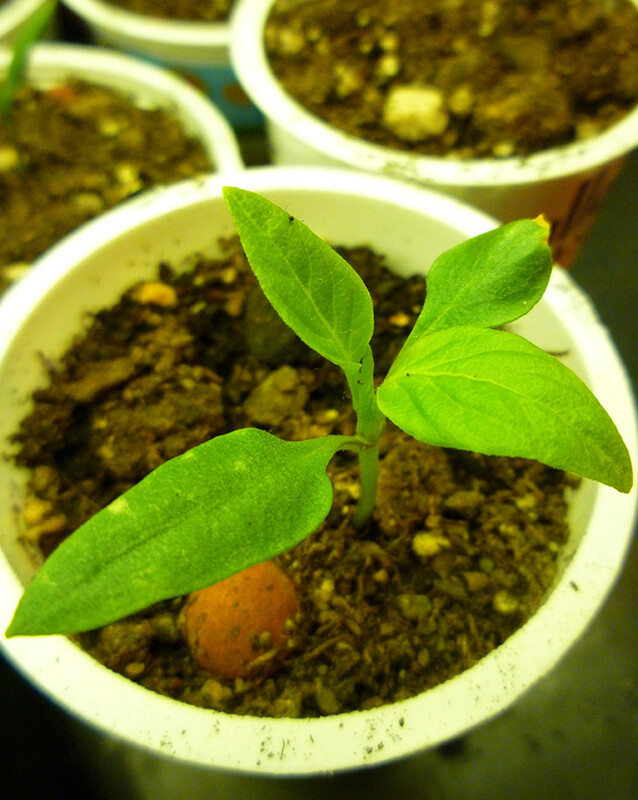 They differ from plants by not taking their food from photosynthesis, but directly from the soil. As hopefully you'll be aware there are edible mushrooms and also highly poisonous mushrooms that can cause grave illness and even death. 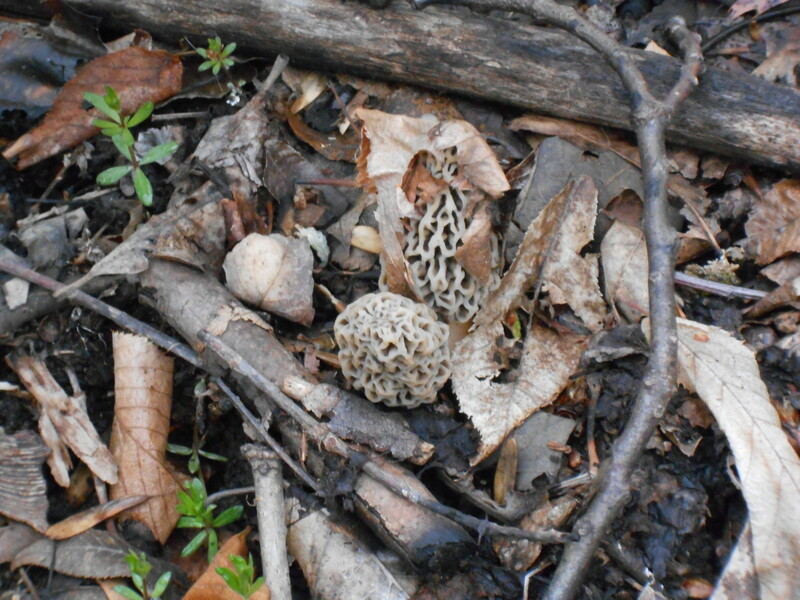 Because many wild mushrooms are hallucinatory, many a person has died picking the wrong wild mushroom for a high. Interesting fact on the side about mushrooms that not many know is that before synthetic dyes, mushrooms were the primary source of textile dyes. 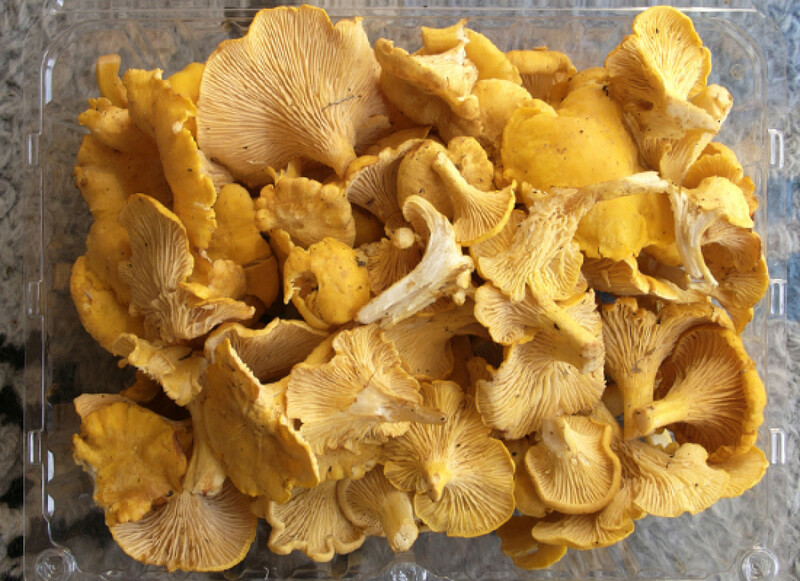 All colors of the spectrum can be achieved with mushroom dyes and one country, Finland, has ignored modern synthetic dyes and still uses mushrooms for textiles. 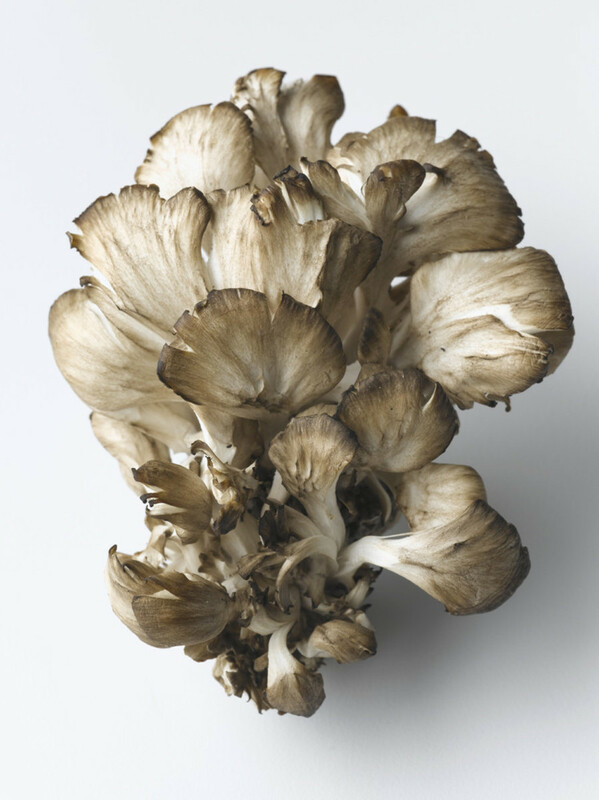 Currently, Maitake, Shiitake, Chaga and Reishi mushrooms are being intensely studied by medical researchers for their potential anti cancer benefits. 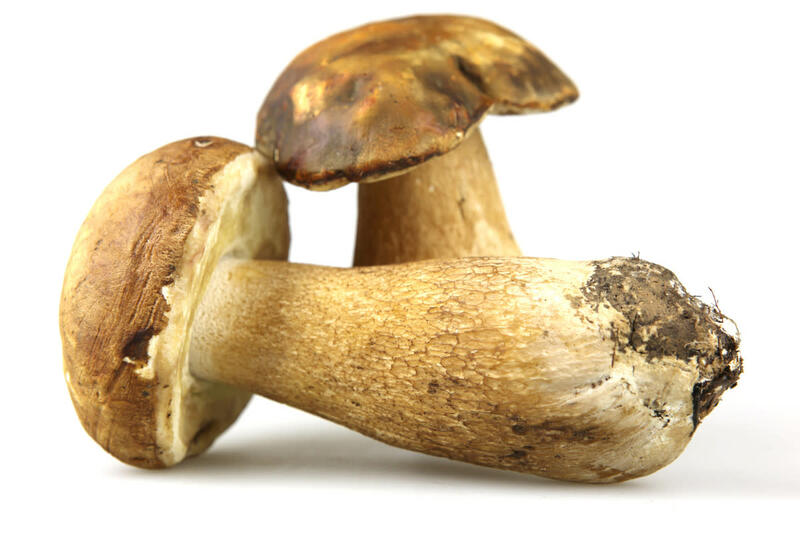 Mushrooms contain high antioxidants, as high as carrots, tomatoes, pumpkins, green beans and zucchini. 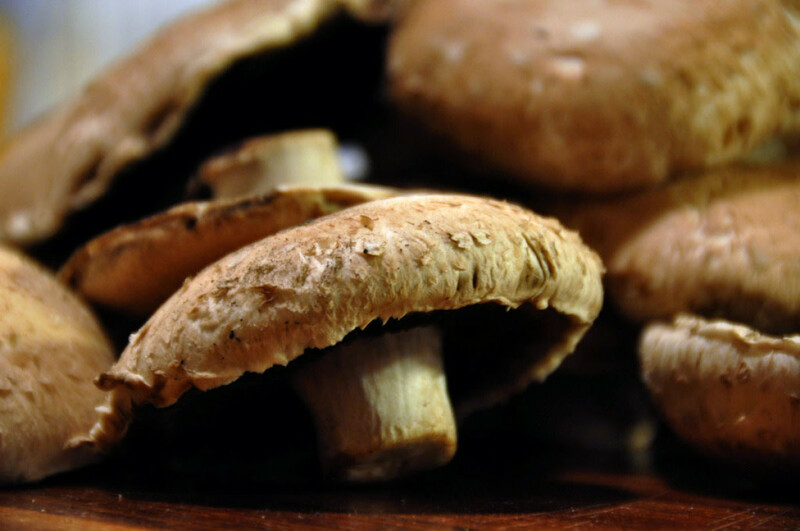 A mineral that's found in mushrooms is selenium, which is not found in many fruits and vegetables. Selenium plays a big part in detoxifying some cancer causing compounds in the body. Selenium also decreases tumor growth rates and prevents inflammation. 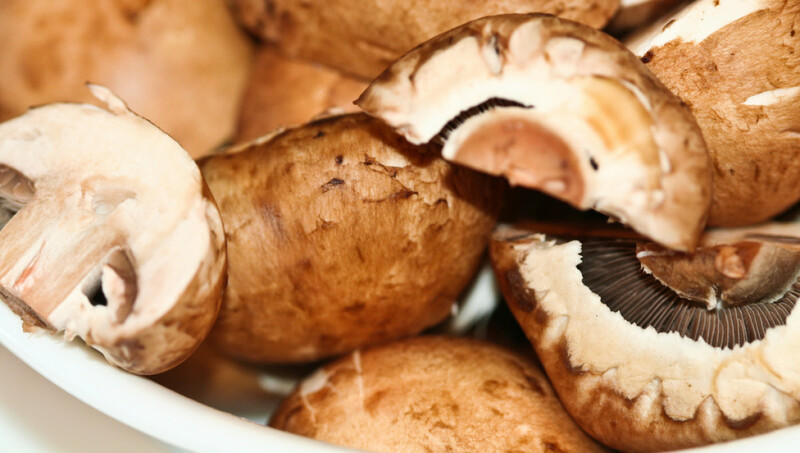 Found in the cell walls of mushrooms are beta-glucan fibers that stimulate the the immune system and prevent tumors from forming and cancer cells from growing. Mushrooms are rich in both Vitamins B and D. Apart from Selenium they are also mineral rich in, potassium, copper, iron and phosphorus. They also contain chlorine, a great aid for helping with sleep and muscle movement. The potassium and sodium in your body work together to help regulate blood pressure. 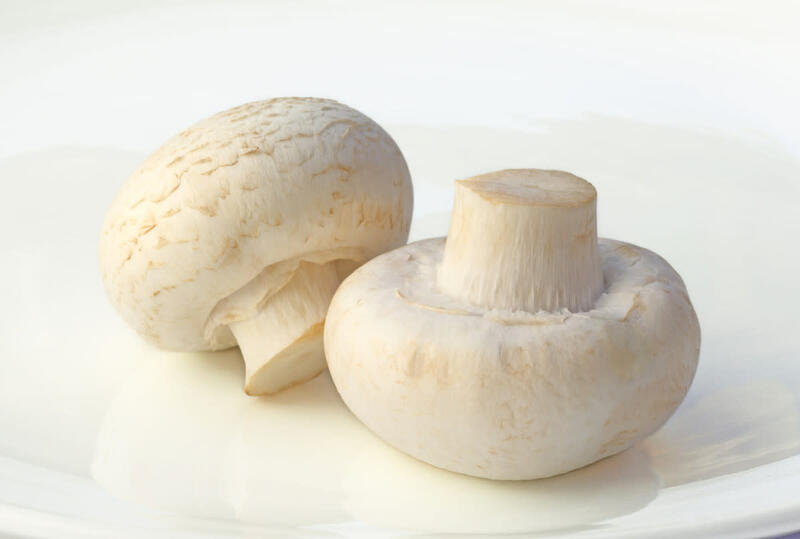 Mushrooms are low in sodium but high in potassium so this helps to lower blood pressure and is a great help with cardiovascular diseases. Mushrooms are great for dietary functions as well. They contain beta-glucans and chitin in their cell walls which reduce appetite by making you feel fuller longer. 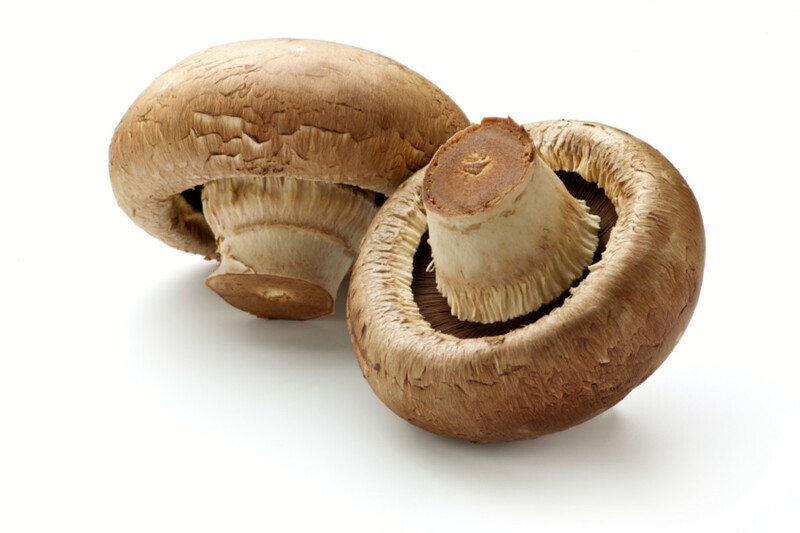 Mushrooms are also extremely low in carbohydrates. 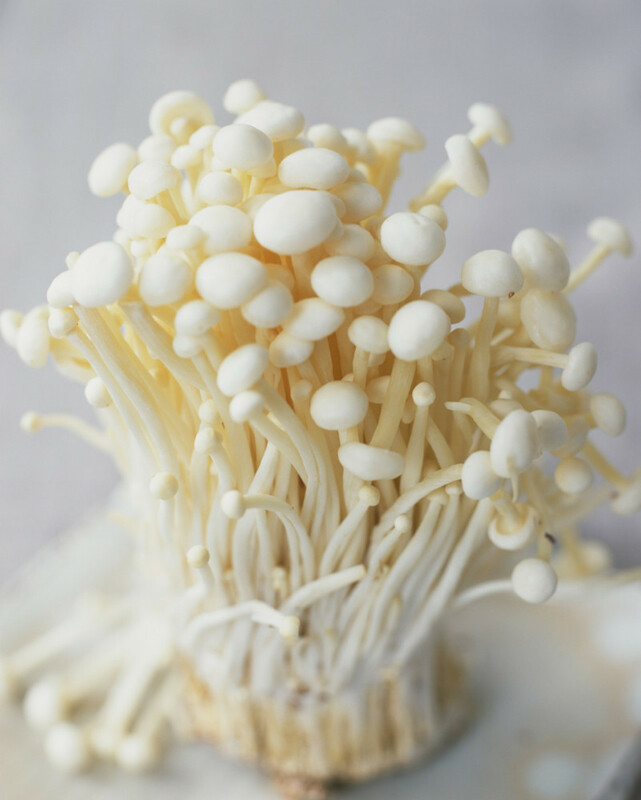 The key to growing fabulous mushrooms at home is making or having the right growing conditions and also making or buying the right spawn (spores). As said before, mushrooms unlike plants don't rely on chlorophyll to grow as they're not growing from seeds but spores. Spores are then reliant on the nutrients available in whatever you're growing them on. Commercial mushroom growing is mainly dependent on horse manure but that's not necessarily something that you may want to have at home. So, you can grow them on sawdust, straw, wood chips or compost with a mix of materials such as corncobs, cotton and nitrogen supplements. You can also just use rich potting mix, mixed with a sterilized cow or horse manure and spread coffee beans on the top surface. You don't need to sterilize the coffee beans. You can lay your soil mix in tupperware containers that are about 4.5 inches deep. If already sterilized stir the mixture a lot.Then spray your spores on top and then your coffee beans. You'll see a fuzz on the beans in a matter of days. 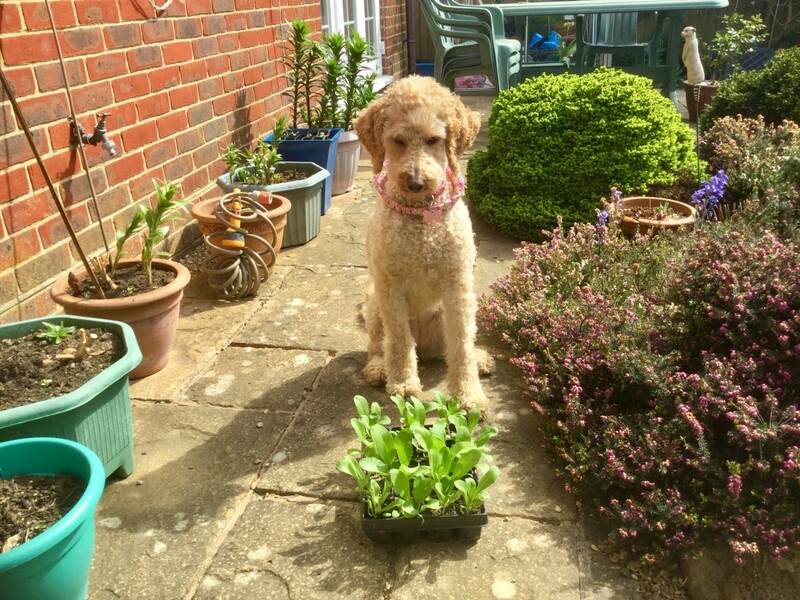 If you can, buy sterilized potting mix and cow or horse manure. If it's not sterilized place it in the tupperware container and put it into your microwave until it's really hot. Take it out, let it cool and then stir thoroughly. Add one cup of Vermiculite (Walmart has it). Stir into mix. Cut or drill four nail sized holes into the tupperware container about 3/4 of an inch below the surface of the soil and evenly spaced. These are to inject water from a syringe into the soil mix as you don't want to add water to the surface. Break the coffee beans by using a pair of pliers. Leave the shells on and put into hot water for five minutes than plant them vertically halfway down. So leave half the bean exposed. Next get a cup and put the Vermiculite in and hot water. Let it soak for five minutes then remove the Vermiculite and drain with a few paper towels. Scatter bits of Vermiculite over surface but don't completely cover. It's great for holding moisture. Water the surface very lightly. This is where you may get contamination if you water it too heavily. If it's contaminated you'll see tiny white or green spots on the surface. If this happens there's no going forward. You'll just have to start again. Success is when you get a healthy mycelium appearing as a white fuzz. Get your syringe and spray 3 CC's of spores over the surface. Now get a light paper sheet and place over the top and place in a warm place. Next to a radiator is ideal. Here's a warning. Don't put the tupperware lid on or you are absolutely assured of an infection. Maximum temperature here is 85 degrees F.
Each day, inject some water from the syringe through the holes under the soil layer. Once again, do this lightly. Dry is better than moist for Fungi. Within a week the surface should be fairly abundant with mycelium. Most will be around the beans. Lightly stir the surface until the mycelium is gone. Don't worry it will be back but just get rid of the whiteness. Once stirred, water lightly again and then scatter some more moist Vermiculite. Replace the sheet of paper and put back in warm sheltered place. Within 12 days very thick mycelium should cover the surface. At this point you're likely to be beyond contamination. Get a glass terrarium and place the carefully transfer what you have into the terrarium without this time stirring the mycelium. The terrarium provides high humidity. Ideal for mushroom growing. Place in the dark for four to five days. At this point you'll see that your mushrooms have started to grow first as tiny pins. Once mature pick them and you'll find that the cycle will start all over again. First you've got to decide what type of mushrooms you want to grow. 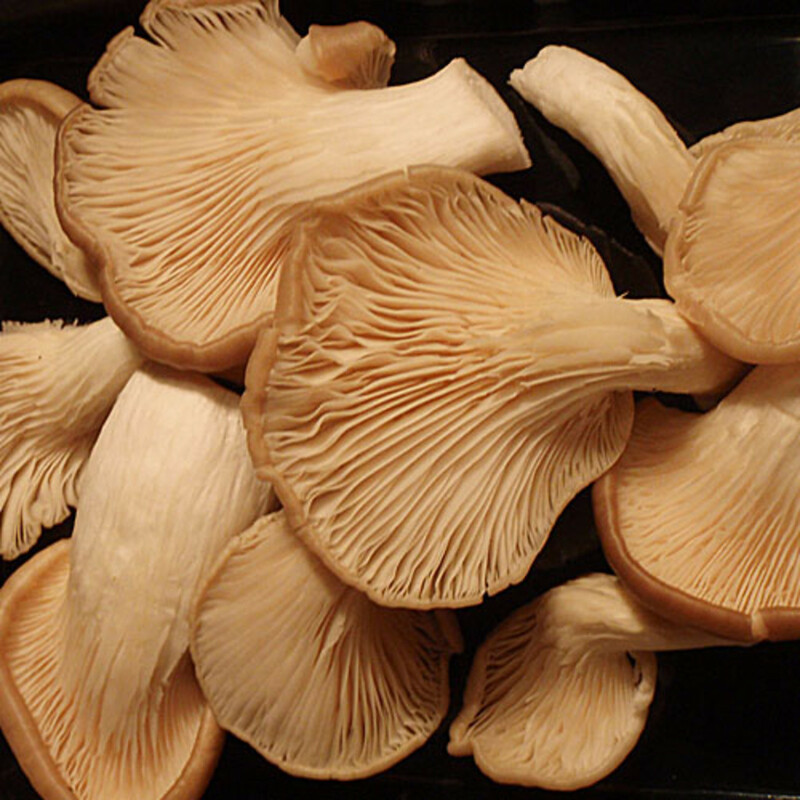 If you're growing for local markets then the common button mushroom is the most popular. 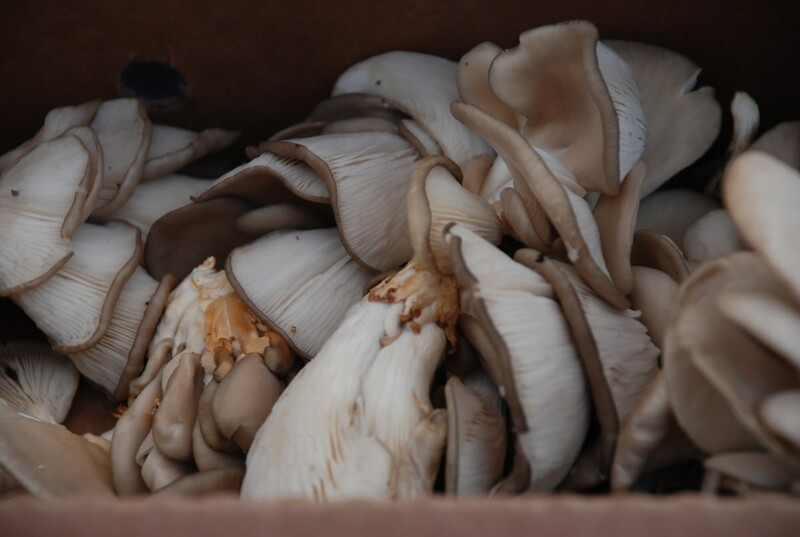 If you want to be more specialised and grow for areas such as restaurants then you might consider the Shiitake or Oyster mushroom. 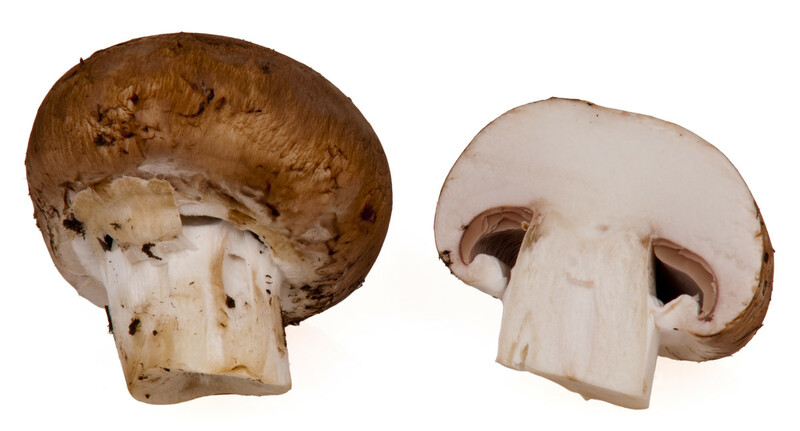 In the States the ratio of mushroom sales is roughly four times button mushrooms are sold for every Shiitake mushroom. Naturally you'll get more for a Shiitake than a Button mushroom but sales of buttons will be effortless whereas Shiitake and Oyster's could be more difficult and competitive. A lot of Chinese restaurants import their own dried Shiitake mushrooms from China but European restaurants and upscale Japanese restaurants will welcome local produce and especially Shiitake mushrooms as long as you can guarantee supply. Go see the Chefs not the owners as they'll only want to save money but the Chefs are the artists.You can also sell them at your local markets and also go see school and hospital cafeterias and caterers. 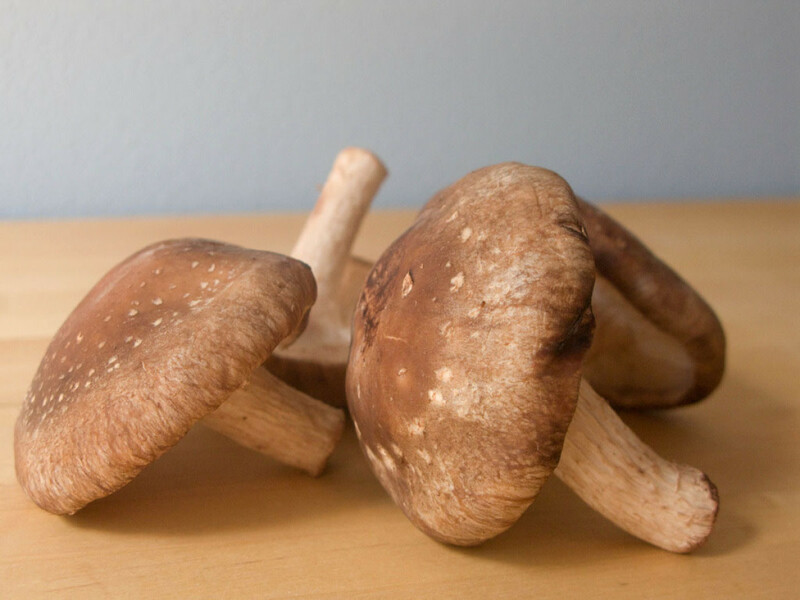 You'll have a far greater chance of developing your own tasty mushroom by growing a Shitake, as they are grown on a variety of logs. So you could experiment with this. The most popular timber that's used is Oak, but other hardwoods used are Beech, Chestnut, Gambel and Scrub Oak. 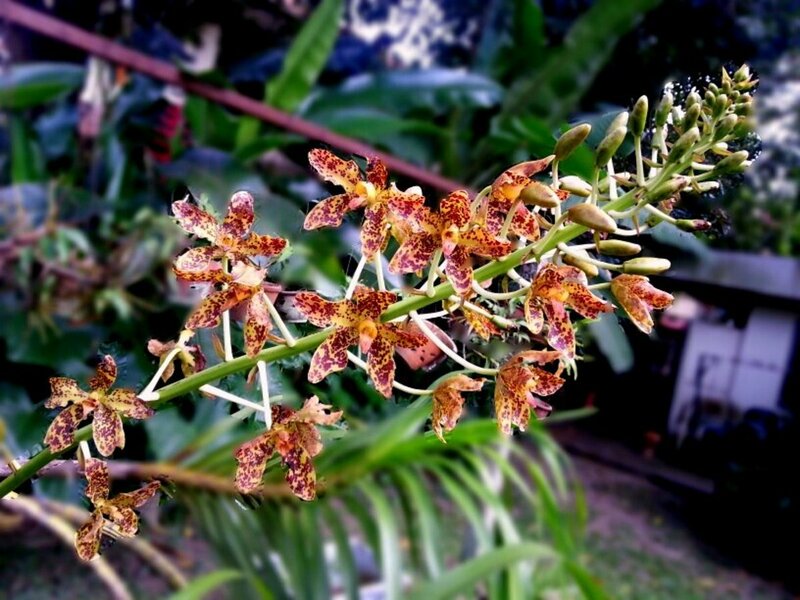 Generally they are grown on sections of timber about three feet long by say 5 inches in diameter. Shitakes wholesale at about $4 to $8 per pound and the great thing about them is that they have a huge shelf life. You can also dry them too. 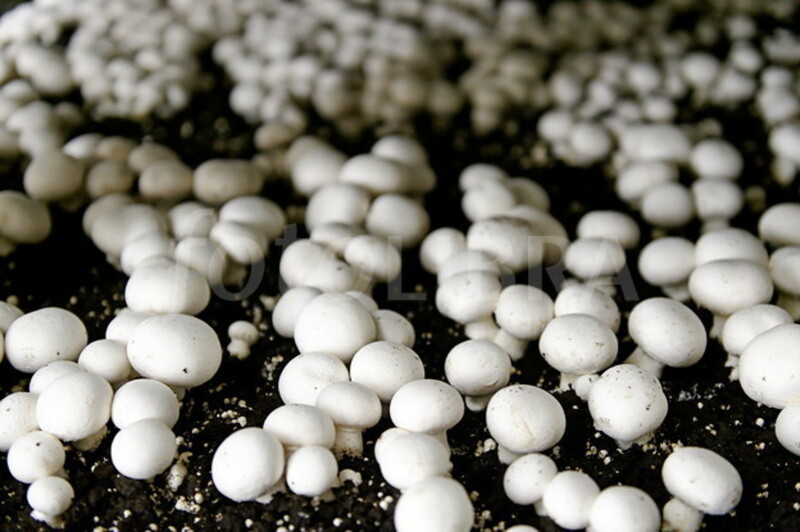 You can also grow Button mushrooms using a mix of horse manure and straw. 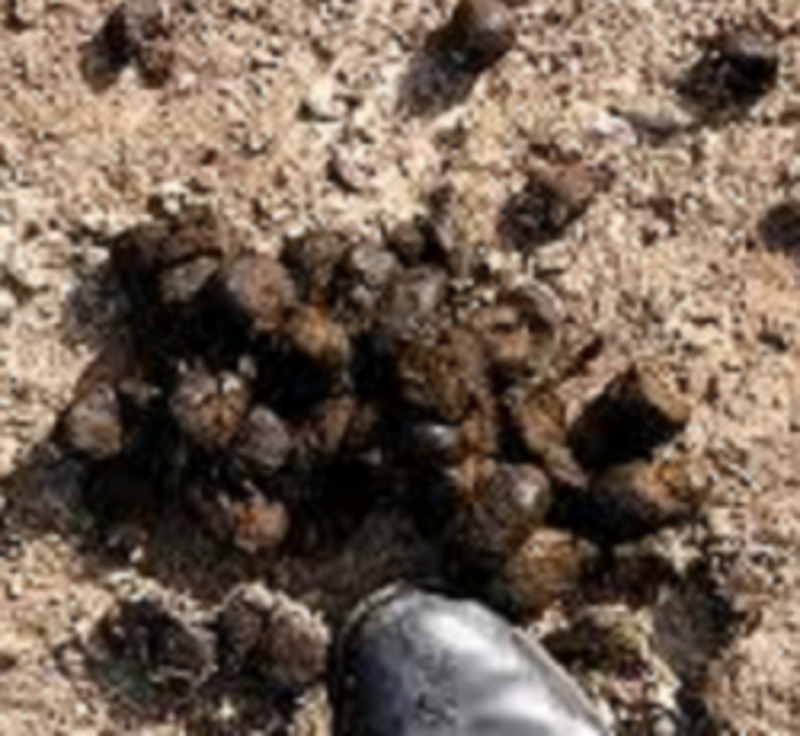 Don't use any other manure such as cow manure because the mushroom grower's enemy is contamination and that's why horse manure is best to avoid this. You'll also need a decent sized shed to grow them in. Fortunately light is not required with mushroom growing. If you think of the natural conditions they grow in all you're doing is trying to replicate that. Hence why Shitakes grow well on hardwoods and Buttons on a mix of manure and straw. If you've got the space and money buy a container to house all your tools and spare trays in. They don't cost a lot and make excellent storage. First thing is to buy or make some trays to grow them in. They should be about 8 inches deep. You can stack the boxes but you'll need good circulation so give them at least two feet between boxes. This gives you a good working area too. You'll find if you're using horse manure that when fresh it gets really hot. You may have to turn it every 24 hours to begin with but try just making deep holes in it to get it to cool down that way. If it gets too hot it will burn and you don't want that. But on the other hand by turning it you lose important ammonia and you don't want that either. If it cools down faster than you were able to use it you can mix it with fresh manure to reach the optimum heat. Using horse manure this will take about two to three weeks before it's ready for mushroom growing. You'll know when it's ready when you turn it it no longer heats up. Also it shouldn't be wet. So take a handful of it and squeeze it. No drips should come out and it should hold its shape. Also the rank smell should have gone and it should measure between 85-90 degrees F.
Now it's important to sterilise the compost. You can buy some very expensive equipment to do this but if you're just starting out the best way is to laboriously place in your oven for an hour at 200 degrees.F. 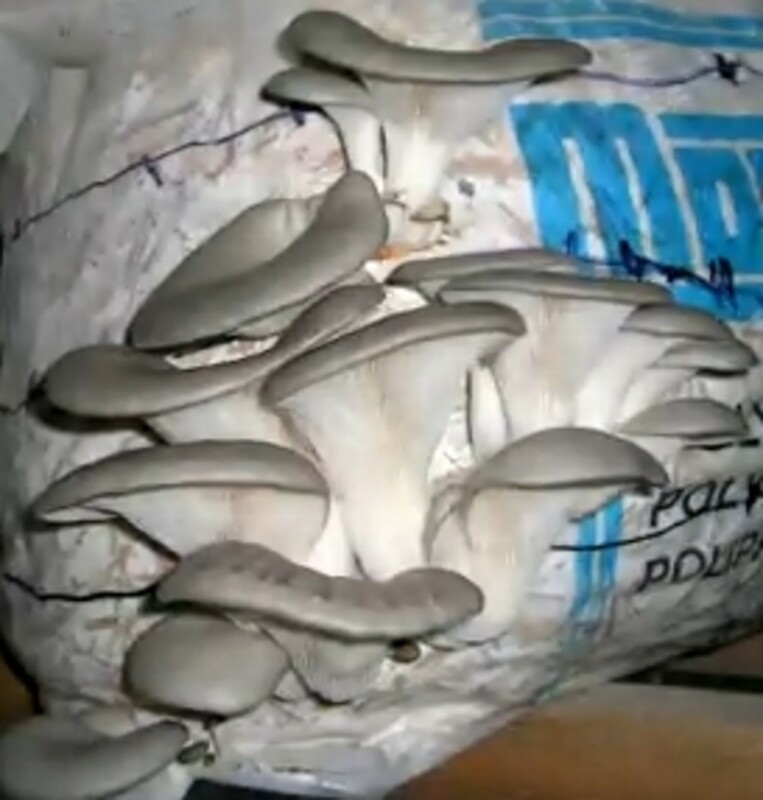 You can grow mushrooms throughout the year as long as you provide the ideal growing conditions. 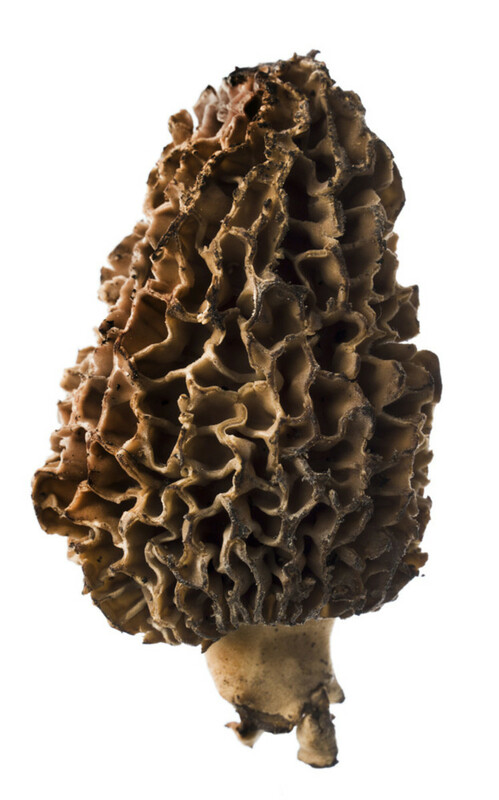 Ideal growing temperature is in a cellar or room that's 55 degrees F. It might take seven weeks in horse manure before your first mushroom pins appear. They will then keep spawning for the next two months. If your beds lose temperature at any time cover with a thick layer of straw to increase the temperature again. To keep moisture in the area, mist the walls and floor regularly but not the ceiling. You can also very lightly mist the soil with non chlorinated water through a sprayer but it should be very light. Mushrooms like moisture but they'll die if the area they're growing in is sodden. On the other hand they'll die if the soil is too dry. You can put damp hessian sacks over the boxes to cure dryness. Once the mushroom pins appear they'll be ready for picking in about ten days. Interesting, but it gets too hot here in the summer, and too cool in the winter. Inside the house is not an option, as there is nowhere safe from cat mischief. However, I'm sure many folks would love to try this if they live in an area with an appropriate climate. Wow Jerry, I use mushroom for cooking all the time and never even considered growing them myself! I'll give it a try, thanks! Interesting and useful. Thanks for sharing what you've learned. I've always wanted to grow mushrooms! This article has inspired me to get busy. I do wish you had included some photos of your setup, etc. I have bookmarked this so I can go back to it. Very useful hub. I remember reading somewhere about growing mushroom in hay stacks.